Hi everybody and welcome back to another fun week of What Will You Stamp! 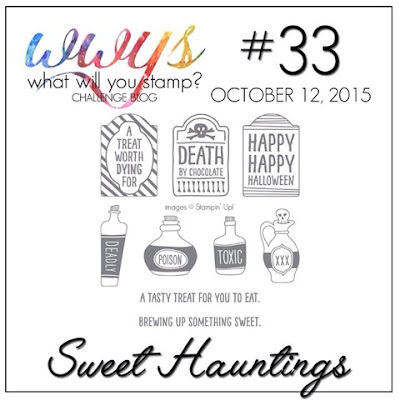 This week we've got a Sweet Hauntings challenge for you and I sure hope you will play along! 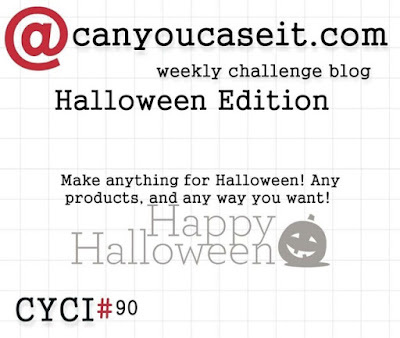 This week I've also entered my card in the Can You Case It #90 Halloween Edition challenge so be sure to head over there and check out all of those fabulous Halloween cards as well! Here's my Sweet Hauntings card for the week. 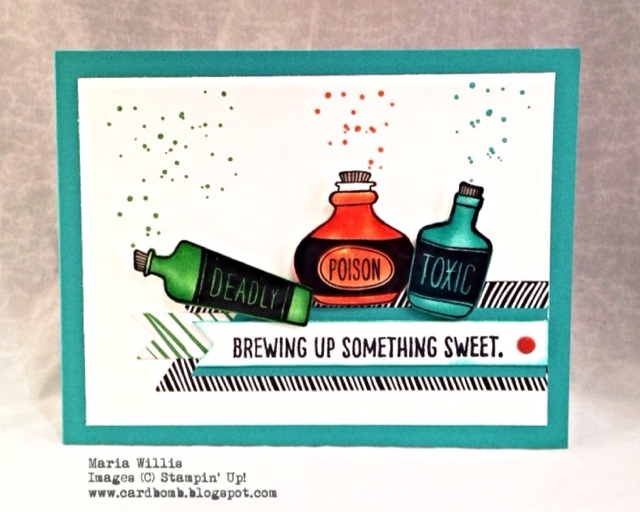 I used Bermuda Bay, Tangering Tango and Cucumber Crush to make the poison bottles pop with color. Then I layered some of the In Color Envelope Paper and the Everyday Chic DSP behind my sentiment. I also stamped some fizzy bubbles above the poison bottles. It's hard to tell in the pictures above that my poison bottles are all shiny. I wanted them to look like glass bottles so I covered them in Crystal Effects to give them shine and a little added dimension. 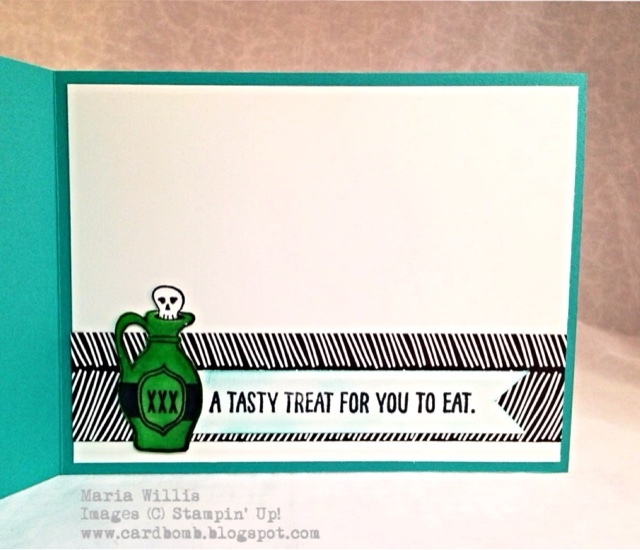 I like to finish the insides of my cards and I loved this poison bottle with skull for the inside. I hope you liked my card this week! Thanks for stopping by and don't forgot to go check out all of the amazing cards over at Can You Case It for CYCI#90! 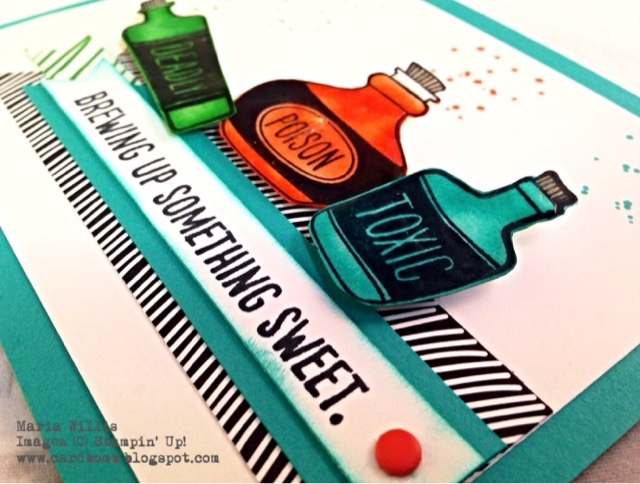 Love this card and how the bottles are tipping and they are shiny! Thanks for joining us at CYCI! So fabulous! These colors really pop, nice work. Love it! Great colors they are nice and bright! Thanks for joining us at Can You Case It! Maria!! Such a wonderful card! 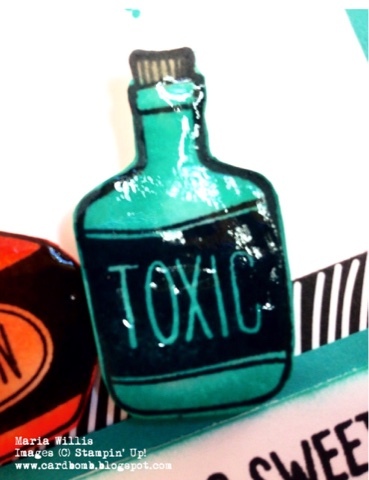 I love all the details on your poison bottles! Thanks for joining us at Can You Case It?